Common wisdom says that sales employees can be sorted into three groups: laggards (the bottom 20%), average performers (average performers, the 60% majority), and star performers (the top 20%). This is called the 20/60/20 theory. Now let’s make things fun and nerdy by likening these types of salespeople to the royal, warring Houses in HBO’s Game of Thrones: Greyjoys (laggards), Starks (average performers) and Lannisters (star performers). With different performance levels usually come different personality types, thus different sources of motivation. If you understand what makes these different performers tick and why, you can strategically reward and recognize them to see sales team motivation increase across the board. Let’s take a closer look at each group and what really incentivizes them, so you know how to tap into the forces that drive individual sales motivation. Sometimes things look dire over on Team Greyjoy. Their sales numbers are grim. They may feel hopelessly isolated from their successful peers. Often, they’re just not cut out to conquer and, when you do let salespeople go, it’ll often be the guys and gals from this group. But many have potential to improve and impress you if incentivize them the right way. Their hidden abilities may rise up out of the depths of the cold sea and surprise you! Peer pressure. Show them what they’re missing by falling behind. A public display of rankings, such as a leaderboard, could be just the fire they need lit under them. Employee recognition. Sometimes Greyjoys lag behind because they feel like no one recognizes them for the work they do. Think of those dour Greyjoys in the show, toiling away on their island, separated from the rest of Westeros and resentful of the other ruling Houses. In a sales environment, you can assuage some of this by making peer-to-peer recognition visible to all with a tool such as an employee recognition social media platform. That way, Greyjoys can get recognition for the little things they do to help out their sales team and organization. Online rewards (commonly known as points programs). Ten bucks doesn’t sound like much, but rewarding someone with enough online reward points to spend those points on a movie ticket or book (hey, maybe that next A Song of Ice and Fire book will come out sometime in the next decade) is more exciting. Behavioral economic studies show that, even when rewards are worth the same dollar amount, people are more psychologically drawn to non-cash rewards. The middle majority of your sales employees are Starks. They win some, they lose some. They’re steadfast, persistent, and work well in the cold so they don’t get discouraged or take it personally when prospects seem to be freezing them out. This group is likely to get a bit too comfortable with their routine, complacent in the status quo. They don’t have quite as many issues with motivation as the Greyjoys, though, so this group has the most room to grow. And growth among the Stark group can make the biggest impact on your sales, since they’re the majority. Debit or gift card rewards. These flexible incentive rewards can be used anywhere. Cards will appeal to Starks’ practical, utilitarian nature. They can stock up on groceries, buy gas or pay bills. Recognition. Even if they’re too modest to crave praise from their peers, they likely love dishing it out. Giving them the platform to recognize their fellow teammates’ accomplishments can help create a motivating, energizing sales environment. Training incentives. Training and educating themselves is all part of their patient plan to know all they can and be extremely prepared to meet a client’s needs. Give them rewards for increasing their product knowledge and skills. These are your stars—the performers in your top 20%. The golden lions. They’re ego-driven and proud. Once they get their claws in a prospect, they go in hard for the kill and they love the triumph of closing big deals. They may be a little vicious and unpredictable at times, but you gotta love their cut-throat, “get stuff done” approach. Incentive travel. Once Lannisters have smashed every goal you put in front of them, the danger is that they’ll feel like there’s nothing more to achieve. For the Lannister who has it all, offer them exclusive group travel incentive trips. This assures them they’re in the upper echelon of performers and gives them a one-of-a-kind experience no other group gets, to mingle with peers and executives. Merchandise rewards. One of the biggest draws of merchandise rewards is its trophy value, i.e. the fact that the merchandise is a tangible and permanent reminder of success. 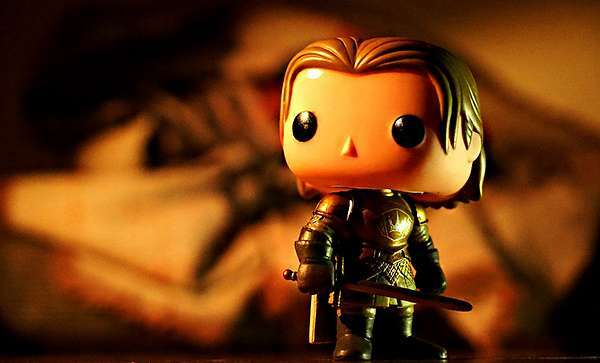 If you couldn’t guess from all this talk about Lannister egos, they love showing off the trophies they earn. Leaderboard. Oh, the glee they will feel when they see their name at the top of the Leaderboard. Tapping into their need to be the pack leader is the best way to motivate them! Mobile app. Everything is now now now with them! They want to submit their sales claims immediately so they can get their rewards yesterday and move on to the next conquest. A sales incentive program mobile app is the fastest way to reward their achievements. Of course, not every salesperson can be so easily categorized into a fictional royal house from a fantasy TV show. But these three distinct personality types show how a diverse incentive strategy can impact sales team motivation. Offer plenty of incentive rewards and strategies so you can motivate all of Westeros… uhh, I mean your sales team.